This could be the very first time that a B.C. 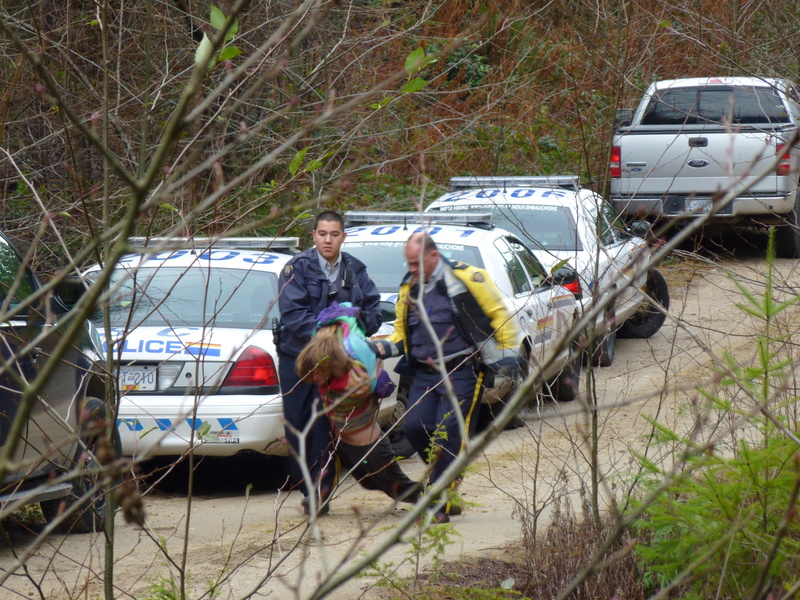 based Community Forest license has called upon the RCMP to arrest members of the community that it operates in, including 1st Nations hereditary family members. 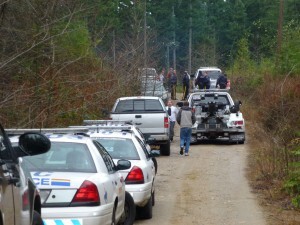 On Monday December 3, 2012 the Sunshine Coast Community Forest (SCCF) initiated a massive police action arresting at least 10 citizens including 79 year old Sechelt First Nation Elder Barb Higgins (Xwu’p’a’lich). 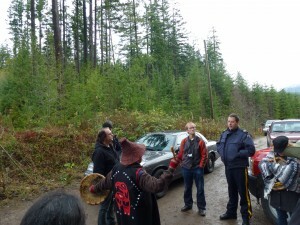 This shocking and outrageous attack on members of the community was carried out in order to proceed with logging one of the last old-growth natural forests in the Wilson Creek watershed. Yesterday, December 5, a further three courageous protesters were arrested. To the best of our knowledge this is the first time that a B.C. 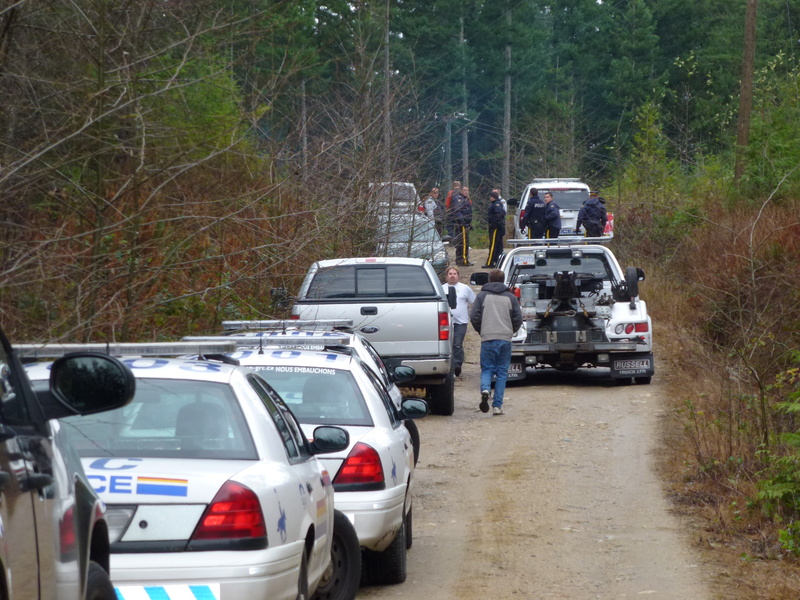 Community Forest has called on the RCMP to arrest members of the community it operates in, including 1st Nations hereditary family members. Some Community Forest! But then the SCCF is a Community Forest like no other. Starting with its formation, by direct award of a license to the District of Sechelt, after the initial application was rejected due to lack of community support, many questions remain about the operations of the SCCF such as: Why did the Powell River Community Forest, with similar cutting volumes as the SCCF, return $1.4 million in dividends to the city from 2007 to 2010 while the SCCF paid out only about $100,000 to its sole shareholder the District of Sechelt? Why are all Board of Directors meetings closed to the public whose interest they are supposed to represent? Why does the Code of Conduct of the SCCF have a gag law that prevents Directors or any employees from communicating with the public about its operations? Why do approximately 85% or more of logs leave the coast unprocessed? Why are all log sales conducted by Canadian Overseas a brokerage firm which specializes in preparing log shipments for export? Considering the outrage that is happening in the Wilson Creek Forest, which can only be considered as an attack on the community, Elphinstone Logging Focus is calling for an immediate halt to logging in this unique forest. We are also calling for a public inquiry/investigation of the SCCF, including its formation, operations, governance, sales and public participation in the selection of directors.